← 19th Century Unequal Treaties and Chinese Foreign Policy Today — Time to Get Over Them. …. Globalization impacts countries’ corporate income tax regimes. …. As economies become more globally integrated, corporate transactions become more globally organized. ….These developments have opened up opportunities for multinational enterprises to greatly minimize their tax burdens. …. The spread of the digital economy poses challenges for international taxation. …. Fundamental changes are required to effectively prevent double non-taxation. …. There is a need for a global realignment of taxation to keep pace with changing business models and technological developments. …. Globalization means that domestic policies, including tax policy, cannot be designed in isolation. …. There are major issues of transfer pricing and enforcement of the arm’s length principle. …. There is a need to require taxpayers to disclose their aggressive tax planning arrangements. …. Most of all there is a need to develop a multilateral instrument to coordinate cross-border taxation of multinational activities. It is clear that an international consensus is finally building to address the unsustainable disconnect between global corporate taxation and the realities of today’s world. This will be a long process. But the popular support across the world has been building as well as the dire needs of national governments for revenues during this long period of economic misery and uncertainty. It is obvious that there is a split between multinationals over global taxation and its reform. For example, between Boeing that produces things here and Microsoft that relies upon royalty income abroad from intellectual property. Corporate coalitions are already forming in the U.S., such as the Alliance for Competitive Taxation (ACT) and Tax Innovation and Equality (TIE), to oppose any global tax reform, whatsoever. Of course, others as the editorial board of the Wall Street Journal, just simply think any tax reform, except reducing rates or doing away with all taxes on foreign source income, are part of a policy “to combat fictional plague of tax avoidance.” Just what you would expect from the Wall Street Journal on this issue. Today’s global tax system emerged prior to tax havens, bank secrecy, offshore banking, and the digital economy. More than anything else cyber space has clouded the geographical location of global transactions. Changes brought about by online transactions, cyber space and cloud computing have created significant issues in determining where cross-border transactions take place. Unilateral national regulation as it is today is detrimental to the growth of global trade. The issue of reforming the international tax system to better track real economic activity is critically important to ensure that national tax laws do not impede the growth of global trade. …….. “OECD Action Plan (Presented in Moscow July 19-20, 2013). …….. “The OECD Calls on G20 Finance Ministers to Clampdown on Tax Avoidance.” (OECD July 13, 2013). 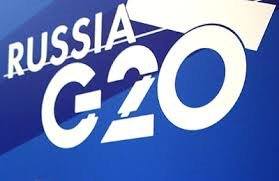 …….. “G-20 to Target Global Tax Loopholes.” Washington Post (July 20, 2013). …….. “Tax Reform for a Changing World.” Financial Times (July 22, 2013). …….. “A Global Revenue Grab.” Wall Street Journal (July 23, 2013). …….. “Companies Square Off in Tax-Rewrite Battle.” Wall Street Journal (July 22, 2013). This entry was posted in Global Trade Relations and tagged corporate coalitions to stop tax reform, cross-border ttransactions and taxation, double-taxation, G-20 in Moscow, G-20 Moscow meeting of heads of state, G-s0 meeting in Moscow of finance ministers, Global taxation and MNC, Global taxation and multinational corporations, multilateral agreement on MNC taxation, non-double taxation, OECD, OECD and international tax agreement, tax and trade, transfer-pricing. Bookmark the permalink.